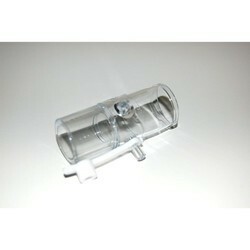 This is a replacement Ball-and-Socket Elbow with Anti-Asphyxia Valve and Rotating Sleeve for EasyFit Full Face CPAP Masks also called Respironics Disposable Exhalation Port. BiPAP / CPAP Full Face Mask – SynoCare Uncategorized Intended Use :This mask is a Ventilation Device of CPAP or Bi-Level Therapy. It is used by medical professional for Oxygen transmission to patients. Features : 1. Polycarbonate Material2. 100% Transparent 3. Adjustable Headrest. 4. Comfortable Cushion. 5. Quick Release head gear. This mask is a disposable hospital mask that is strictly intended for single use only. 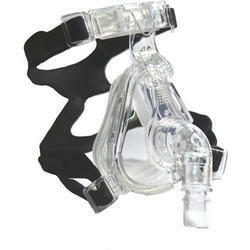 This mask in a Vented mask and is to be used on Ventilators only. Sizes Available : Small Medium Large We provide OEM Services.